Corporate Sponsorship has been a leading controversy on the University of Oregon campus, especially considering the University’s relationship with the athletic clothing hub, Nike. The recent opening of the John E. Jaqua Center, built primarily for Oregon athletes, sparked many negative emotions about the school’s largest sponsor. The University of Oregon has always been known for its prestigious athletes and the sports that they play, Eugene being dubbed Track Town U.S.A., however with the most recent events, many are left wondering if the University is known for its sports only because of Nike. Oregon sports are funded nearly entirely from one of Oregon’s most well-known Alumni, Phil Knight who has been nicknamed “Uncle Phil” for his many generous contributions. Though Knight has donated a great amount of money to academic buildings on campus, it is easy to see that the majority of his donations go straight to the athletic department. With controversy from the large donations to the athletic department, the recent arrests of many Oregon athletes, and Nike’s sponsorship around the world, Knight Time at UO decided to research further about the relationship between the University of Oregon and their top donor, Nike. The recent opening of the Jaqua Center has fueled much controversy over the University’s values. The first floor of the Jaqua Center is open to the general public, but the second and third floors are exclusively for student-athletes. According to Nathan Tublitz, a University of Oregon professor, there are 550 student-athletes out of about 22,000 U of O students. Student-athletes make up roughly 2.5% of the student population. The top two floors of the center are more than just a lounge area for athletes; there are also a large amount of academic resources located there. Student-athletes are provided with free tutoring for every class and mandatory study halls where their homework is checked. Phil Knight also made available 550 MacBook Pros with the Oregon ‘O’ laser engraved into them. These laptops are available to all student athletes for free, with the exception of paying $100 a year for computer insurance. This $100 yearly is a minimal fee compared to the standard $1199 cost for a 13-inch MacBook Pro. There are a vast amount of resources going to a small portion of the student body. Just this year there have been three athletic additions to the University of Oregon: PK Park Baseball Arena, the Jaqua Center and the $200 million Matthew Knight Basketball Arena. Put simply, it looks bad for a University to be building lavish sports complexes while there are teacher and classroom shortages. As sports buildings continue to pop up around campus, many academic buildings are left unpolished. According to another Gateway blog, “the journalism department’s Allen Hall hasn’t been drastically changed or improved since 1954. Also, Lawrence Hall, the building for Architecture and Allied Arts, has not seen major changes in size since 1941.” The University of Oregon is an academic center first and foremost, but many would not know this from the dramatic amount of funds being sent towards athletics. With all the money and benefits that are given to Oregon athletes and athletic facilities, it is safe to say that these athletes should be held to a higher standard. Not only do they represent the sports they play, they represent every student, faculty and alum of the University of Oregon. This way of thinking has clearly not been enforced at the school, seeing as that four Oregon athletes have been arrested in the first half of 2010 alone. Most every student has stepped foot in Autzen Stadium to watch the football team take on their competitors yet the football team has come out with the most arrests from their players. Though the football team is a well playing team, the players continue to be praised by the many facilities donated to them by Phil Knight and Nike, while there are teams that definitely do not attain the same benefits. The Oregon men’s golf team, for example, has not received any funding or facilities though they are currently ranked no.1 in the nation. The sponsor, along with Phil Knight, has given many playing facilities to the football, basketball, and baseball teams yet the University of Oregon has no golf course or any other training facilities for the team. The golf team is just one victim from the ongoing imbalance of the funding given by Oregon’s largest corporate sponsor, Nike. The imbalance of athletic and academics at the University of Oregon has sparked many thoughts about Nike and their sponsorship with the school, however there has been much more controversy with Nike around the world. Their handlings with the debate on the production of Nike products had many wondering about the legitimacy of the company. Besides this incident, the company had to deal with the Tiger Woods scandal. The world renowned golfer is one of Nike’s biggest spokesperson so naturally all eyes were on the company’s actions. People across the world wondered what would happen to the $105 million dollar relationship. In the end, Nike stood by Tiger, releasing a commercial that did not necessarily condone the golfer’s behavior yet showed a lack of consequences for the athlete’s actions. With the company taking on a large sponsorship at the 2010 FIFA World Cup, all eyes are on Nike and their next step of actions. These events make many observers at the University of Oregon wonder how such a controversial company can be the largest sponsor of the school. The John Jaqua Center has been the center of controversy since its opening in early 2010. The modern, three-story building is exquisitely designed and should be, with the $20 million price tag attached to it. 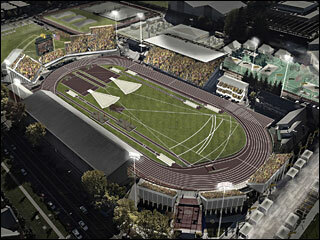 The price tag was covered by Nike CEO Phil Knight who donated the lavish building to the University. Knight is by far the most prominent athletics donor at the University of Oregon. He has donated hundreds of millions of dollars to Oregon Athletics. Some of his large scale donations include: $90 million towards the renovation of Autzen Stadium and $100 million towards the new basketball arena. Knight has also donated towards academics at the University of Oregon. He donated $27 million towards the renovation of the Knight Library and $25 million towards the school of law. The imbalance of academics and athletics on campus needs to be evened out. Phil Knight has freedom to donate to whatever he likes, but the University should be more objective when taking donations. The large amounts of money being donated towards athletics gives the impression that the University values athletics over academics. The Oregon golf team took away the no.1 national rating at the Pac-10 Championships just three weeks ago. Lead by the team’s two top players, Daniel Miernicki and Isaiah Telles, this was the Ducks’ first regional championship. Next week, Coach Casey Martin will take the team to The Honors Course in Chattanooga, Tennessee where the Ducks will move on to play in the 2010 NCAA Men’s Golf Championships. According to goducks.com, the golf team played more extraordinary than was expected. “I’m so proud of this team,” Martin said about his nationally ranked team. “To win by that kind of margin against this field is just incredible. It is easy to see that the University of Oregon golf team is exceptional and has made it very far this year. Yet, how many of the students, faculty, and alum know of their excellence? University of Oregon is a school where athletics takes a priority, clearly illustrated by its affiliation with major-sponsor, Nike. However, looking at the nationally ranked golf team, the famous Nike Swoosh is not emblazoned anywhere on their jerseys as it is with many other Oregon sports. Take the Oregon Football team; looking at their uniforms the Nike Swoosh is clearly shown on the players’ jerseys, pants, arm bands, helmets, and shoes. Though the football team is another exceptional playing team at the University, the team went away with five arrests in the first months of 2010. Though the golf team has benefited from Nike’s sponsorship with the newly built John E. Jaqua Center and all the other advantages of Oregon athletics, it is clear to see that their benefits do not run as high as the football or basketball teams. 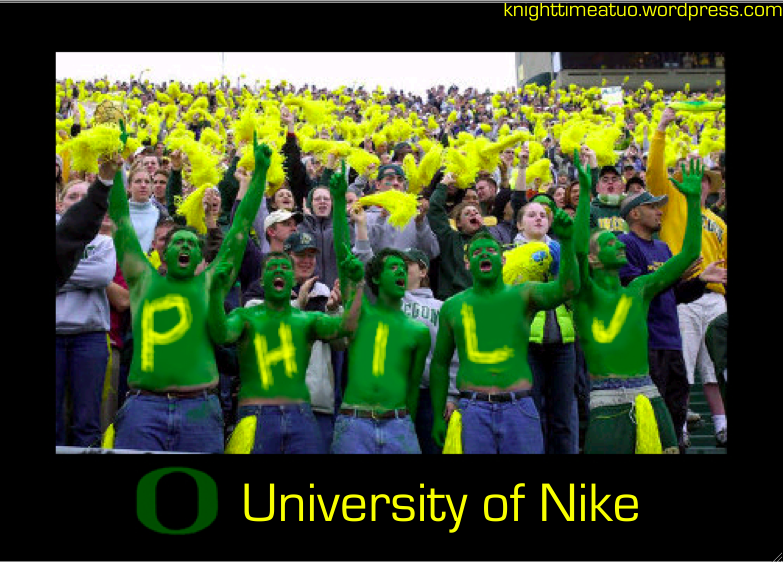 Phil Knight and Nike have donated multiple training and playing facilities to the football and basketball teams, however the University of Oregon still does not have a course or any such facilities that the golf team can use for their own training. From the Oregon football team’s arrests to the Tiger Woods incident, the past few months have shown that Nike undoubtedly has the right to choose who they fund and sponsor yet clearly the only way to get Nike’s attention is through public scandal rather than athletic excellence. Our target audience is University of Oregon students, faculty, staff, alumni and anyone who is interested in Nike’s presence at the U of O. We aim to make our app easy to navigate and fun to use. We designed our app with four general tabs that direct the user to four different areas. The Nike Tab redirects the user to the Nike website and store. The University of Oregon tab takes the user to Ducks’ sports news. The third tab is a University of Oregon and Nike hybrid that takes the user to a page which displays all articles in which Nike and the U of O are mentioned together. 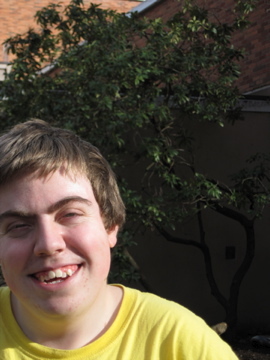 A fourth tab takes the user to our blog, Knight Time at UO. An RSS feed from the listed websites will provide information for the app. We chose our app concept in hopes of educating readers about how influential Nike is on campus. This app will keep audiences informed on our topic, the imbalance between academics and athletics on campus, long after the term is over. The Nike-University of Oregon hybrid tab will keep our readers up to date with the Nike and University of Oregon alliance. We included a link to our blog because it contains key information about the academic and athletic imbalance on campus. We want our readers to be able to quickly reference the information on our blog and relate that to Nike and University of Oregon news. Both Oregon and the University of Oregon are well known to have great athletes who have accomplished their goals either by themselves or with the aid from the university. These athletes represent Oregon, the track and field legacy. Also, those athletes are proved and known as the legends in this field among the viewers. The following are a number of athletes who wouldn’t be forgotten. 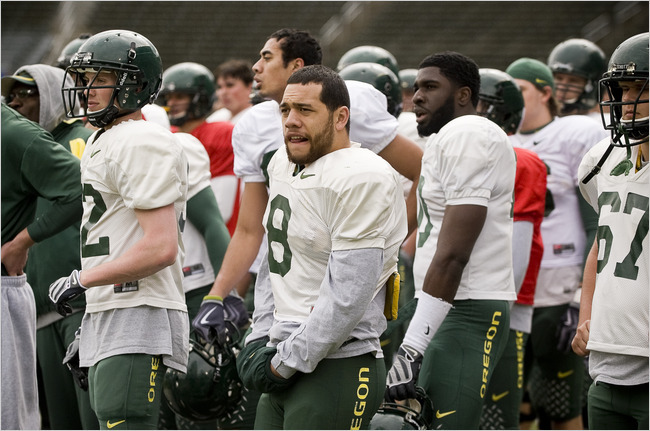 -Kenny Moore has run the track at the University of Oregon, in Eugene, which helped the Ducks be more proud and wrote a book as a sports writer as well. -Steve Prefontaine was another great runner who had shown a great spirit at Hayward field with a great record annually during his career (1971-75). -Alberto Salazar is a remarkable distance runner of the Oregon Ducks. He won three American-records in the marathon and two National Cross Country Championships. He currently coaches the members of the Nike Oregon Project. These athletes can simply be said to be the makers of milestones. People, including the track athletes, in Oregon were and even now proud of their efforts and results. Oregon’s long-lasting lead in the track and field athletes, needless to say, has span among the generations and disciplines. 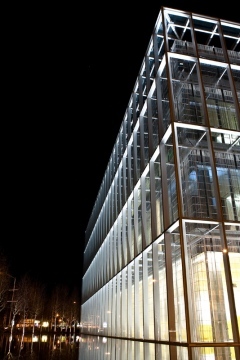 The good news is that John E. Jaqua Center for Student Athletes was recently built in the University of Oregon campus in 2010. This means that it became more obvious that athlete students in the University of Oregon can have a greater chance to attain their goals to be the previous generations (Kenny Moore, and Steve Prefontaine, etc. ), who have made a big success. There is a great connection between the University of Oregon and Phil Knight, the co-founder of Nike, and this connection, of course, would be able to generate great athletes continuously. The New York Times ran an article on April 30, 2010 discussing the imbalance of athletics and academics at the University of Oregon. Mentioned more times than one was noteworthy financial donor, Phil Knight. Knight has donated hundreds of millions of dollars towards the university’s athletic program. His donations, while very generous, send the idea that athletes are more important than students. I had the opportunity to speak with Nathan Tublitz, a vocal opponent of the imbalance of athletics and academics. Tublitz is also a university biology professor and president of the university Senate. He made the point that there are roughly 500 students on athletic scholarships at the university. Those 500 of the 22,000 students at the U of O make up roughly 2.5% of the student population. This 2.5% of students are receiving a huge amount of university resources. Tublitz explains that “At the Jaqua Center, student athletes have a tutor for ever class, a free computer*, mandatory study hall where tutors check their homework, and all their books are paid for.” Despite all these added bonuses, student athletes graduate at a lower rate than the rest of the student body. It’s the accumulation of perks and special treatment that forces this huge imbalance between students and student athletes. The university is doing lots of things to make the lives of student athletes easier, but they are not doing similar things for non-student athletes. I searched online for academic donations that Phil Knight has made, but the only thing I could find was his $27 million donation towards the renovation of the Knight Library. Phil Knight has donated more to the Stanford Business school in one day ($110 million) than in total to academics at University of Oregon. Tublitz clarifies that he is not against athletics, but against “the imbalance, the inappropriate emphasis, on a tangental aspect of the university.” The U of O needs to even out the balance between athletics and academics. We must not forget that the word “athletics” is not mentioned in the university mission statement. *The laptops available to student athletes are free except for the $100 paid yearly for insurance.